My name is Swathi and this is my son Kalyan Ram. Isn’t he beautiful? But unfortunately he is been diagnosed with the deadly Acute Lymphoblastic Luekamia. While doctors say that it can be treated, the procedure is very expensive and we do not have any resources to bear such a huge amount. It is this time that the hospital doctor suggested to try our fate with Milaap. 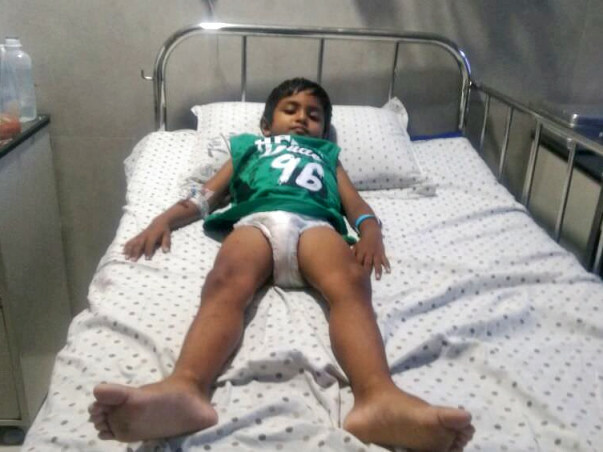 He is now being treated at Kanchi Kamakoti child Trust Hospital, Chennai. The hospital has estimated about 8-10lakhs for the procedure. We love our son and want him to live his life. We cannot imagine our lives without him being part of our life. It is my sincere request to all of you to please help my son Live. Thank you for your love. 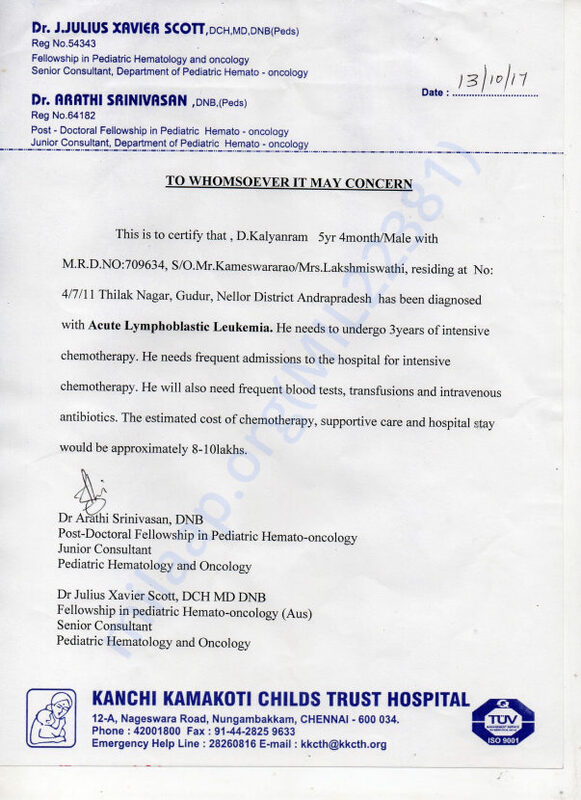 All chemotherapies are completed and they are checking blood tests and Doctor chekups for every 15 days to monitor the health condition of Kalyanram.They are checking Bornmarrow current condiotion for every 3 months with relative tests. Finished all the chemotherapy and now he is in a good codition.From now onwards need to use medication and regular chekups. My son is undergoing 4th Stage of chemotherapy, it is the 3rd cycle of his chemo. He is responding well to the treatment. We are grateful to each and everyone who supported us.